It is no secret that communication and collaboration are at the heart of success and longevity for any business. However, as businesses become more global and more employees work remotely, video conferencing is being increasingly used as an alternative to face-to-face interactions. There are pros to both business travel and video conferencing such as personal connection and ease of use. However, there are cons as well ranging from travel delays to being technologically reliant. 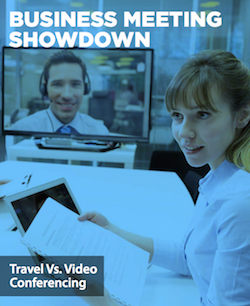 To help you decide what is the best option for your business, download and read our latest guide where we dive into detail regarding Travel Vs. Video Conferencing.